History | Nibo Union USA, Inc. Prior to 1970 indigenes of Nibo have had presence in the United States, it was not until after the civil war in Nigeria in 1970 that there was an increase in influx of this group of immigrants in search of higher education and prosperity. Migration patterns saw clusters of Nibo families across the major population centers of the US. In the East coast area, a good number settled around the tri-state area of New York, New Jersey and Connecticut. Washington DC area saw some settlements. There were many families around Atlanta and Chicago areas of the US. Houston and Dallas communities harbored many also. West coast area of Los Angeles also had some families. Around the mid 1990’s, the idea for an organization that will serve Nibo Indigenes started by the confluence of two related circumstances; the death of a Nibo Indigene and the effort to contact and rally Nibo indigenes to help repatriate the body back to Nibo, inadvertently sowed the seed for what is now Nibo Union USA inc. This was the period of our discovery! Organizers had a difficult time finding Nibo families despite the fact that there were a good number in the country. There was the realization that an indigenous organization was needed. There was also the need for new arrivals to locate fellow Nibo indigenes, to have a social network not only to help families who are new to the area but also rally them in times of emergency and need. At the urging of the organizers, a handful (two to three each) of Nibo representatives from Chicago, Atlanta, Los Angeles, Houston, New York and other cities commenced sometimes weekly telephone conference calls that continued for over a year. Eventually participants arrived at a consensus to hold a national convention. An ad hoc/stakeholders committee was set up and they chose Atlanta to host our maiden convention. In 1998, the first inaugural convention was hosted by Nibo families in the Atlanta area, and the flame of the organization was lit. The following year in 1999, families in the Chicago area hosted our second convention. Three years later in 2000 our third convention was held in New York. Along the way other branches were formed in areas of the US where there were clusters of members. We realized that operating under an umbrella of one union that we would effectively and collectively tackle problems to help our communities at home. From the onset, our guiding principles has always been to remain true to our Christian beliefs, celebrate our rich cultural heritage, give back to our communities back home in Nigeria and to help each other while living in our country of sojourn. According to oral traditions, Nibo town was founded by a famous hunter/farmer who migrated from a town in Aguata. His name was Nebo from which the name Nibo was coined (Nne-ebo, meaning that a mother does not burden her son with a load he cannot carry). Nebo first settled at Mgbala, the valley boundary today between Nibo and Mbaukwu. He later moved to present day Ana Nibo where he settled permanently. Nebo had three sons, Ezeike, Ezeakabo, and Ezeogu-ine. Ezeike and Ezeakabo became close friends and oppressed Ezeogu-ine who fled to the present site of Nise and thus founded the town. Thus Nibo is made up of four quarters of the town namely: Ezeawulu, Umuannum, Ifite, and Ezeoye. Descendants of Ezeike are referred to as Umuezeike. Nibo town is in Awka South Local Government Area of Anambra State (in the Southern region of Nigeria). Nibo is the second largest town in the area. Nibo shares borders with Awka town in the North, Amawbia in the northwest, Nise in the West, Mbaukwu in the South, Umuawulu in the East and Isiagu in the Northeast. The people of Nibo are naturally farmers and in the ancient days a man’s wealth was measured by the size of his yam barn, farming was supplemented by Palm-wine tapping. Hunting was a good pastime for the youths during the dry season. The people of Ifite Village were predominantly herbalists. This occupation enabled them travel extensively. Many of them became blacksmiths as a result of their nearness and close association with Awka town. Nibo Town recognizes twelve lunar months, which are generally named with ordinals. Most of these months are associated with important festivals or seasons. Two very important festivals are Onwa-asaa and Okpukpo-Eke. The former symbolizes the official eating of the new yam. (It is also known as the new yam festival). The latter, which is celebrated with pomp and pageantry, marks the achievements of the year. It is the festival that brings all Nibo people together. The celebration takes place at Eke-Nibo square. The form of government in Nibo is participatory democracy. Each four quarters had an open square and the town itself uses the Eke Nibo Square where all male adults meet on specific market days to discuss the affairs of the town. Everyone present had the right to speak. Decisions were always by consensus, under the leadership of Ozo-Nibo. In 1977 Nibo adopted a new constitution. Some earlier decisions were incorporated into this constitution. The constitution assigned the title of Ezeike to the traditional ruler of the town while the head of government was assigned to the office of the President General. The President General runs the town and has a renewable term of four years. Chief Aaron Ezekwe earned posthumously the title of Ezeike II as Ezeike I was assigned to our illustrious ancestor to whom tradition credits the founding of Nibo. 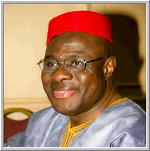 Late Eze Okechukwu Onwuegbune became the first Ezeike under the 1977 constitution, and took the title of Ezeike III, consequently Eze (Ugonwanne) M.C. 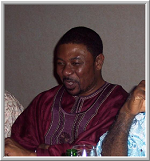 Ngene, who succeeded Eze Onwuegbuna, became Ezeike IV. The rulership is rotatory beginning with Ezeike, then Ezeike II whi is from Ezeawulu (di okpala), the Ezeike III from Umuanum, Ezeike IV from Ifite and Ezeike V will be from Ezeoye who is the last son of Ezeike. Thereafter the throne will start another round with Ezeawulu. Once an Ezeike is elected he holds the title for life and can only be removed by the General Assembly of Nibo for major breaches of the towns constitution. Ezeike has a cabinet of not more than 24 members who sits in council with him. These members of cabinet are selected from the four villages in the town. Each member of cabinet is called Ichie and the most senior member of the cabinet is called Ikenga. The Ikenga becomes the regent when Ezeike dies until another Ezeike is elected. Title taking is an embodiment of our cultural values and an important aspect of our tradition, it is not necessarily a symbol of affluence. Being a titleholder gives one a sense of responsibility and belonging and also a commitment to certain ethical values. In other words, a titleholder is governed by certain codes of conduct and is expected to lead by example. There are two categories of titles in the community –titles that are taken by virtue of being a citizen of Nibo and titles that are conferred on individuals who have contributed immensely to the growth and development of the community. The main titles in the first category are “AMANWULU”, “NSUMORU”, “UNONGU”, “NNIOZO”, and “OZO”. These titles are taken by men but their wives, especially the most senior (where there is more than one wife) are associated with the prestige and decorum due to their husbands. The first and the last titles are the most important titles. “AMANWULU”, which is the first title taking is normally conferred by a father on his son and it is a claim to citizenship, while the “OZO” (the last title) is a hallmark of public career and achievement. Chieftaincy title is in the second category of title taking in the community. It is conferred only on sons and daughters of Nibo who are of good character and have contributed to the growth and development of the town. 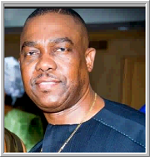 Ezeike selects Nibo citizens to be conferred with the chieftaincy title in consultation with his cabinet and Nibo advisory council. The names are then sent to Nibo union general assembly at Nibo for final approval. Formal conferment of chieftaincy titles is performed by Ezeike at the Nibo town civic center. This is the history and traditions of Nibo in a nutshell.